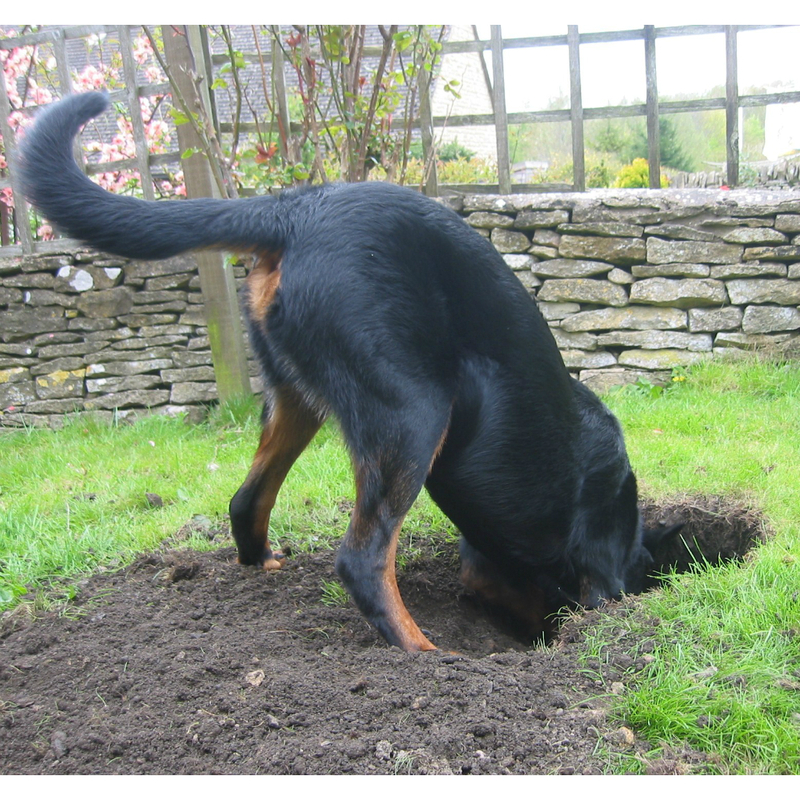 Dogs dig for a number of different reasons. Most dogs dig for fun and to release energy, especially when left alone outside for too long, but they may also be digging to catch burrowing animals, to hide away and feel safe, to bury bones, chews or other possession, to dig out a den to get out of the sun if they are too hot or to get warm if they are too cold, or they may dig under a fence to escape. They may also dig up the surface of the ground or vegetation to make a comfortable bed. Getting your dog to stop digging in inappropriate places relies on finding out why he does it. Different reasons will require different solutions.